We're Famous (for a month...) in NZ! 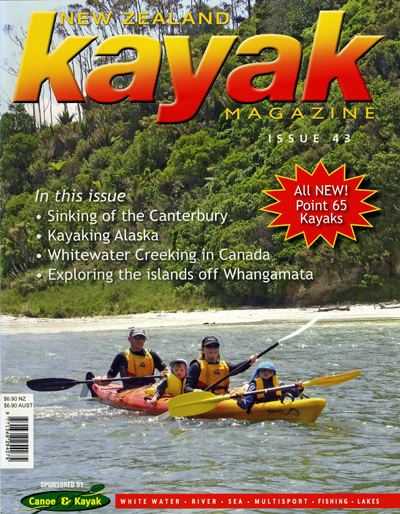 Ron Birch and his spouse Mary, from New Zealand, spent a week paddling with us and he wrote a "how I spent my summer vacation essay" that was good enough to be published in the New Zealand Kayak Magazine. See Kayaking Alaska, Issue 43. It is a terrific article and he flatters us enormously including a summation titled So why 'Abyssinia'. They had a great week in the Icy Strait/Inian Island area and his photos (along with a few of Kim's) came out very nice. Here is the cover. Look on the side bar to the left for "Pages" and choose the magazine article to download and read the pages in .pdf format. 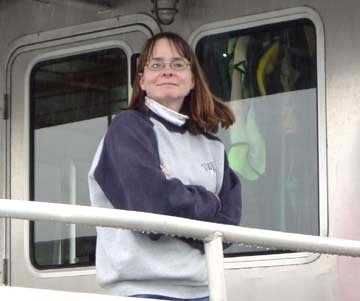 This summer (2008) not only are we going to be watching whales...we are going to be listening to them! Yes, we bought a hydrophone. Does anyone out there speak whale? We hope to send everyone home with their own whale MP3. I hope that it was clear that it was Eric who made the last post and not Kim putting up her own picture. Hey...this how I get through the winter storm.